I am skipping ahead to the present today, as it seemed fit based on what happened this morning. 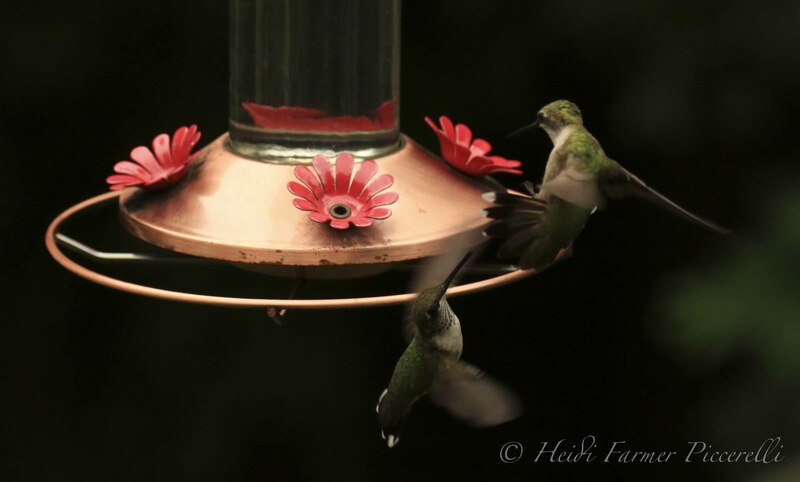 Mom loved Hummingbirds, and had a feeder directly outside of the window where she sat during the day. She would always talk about their visits, how quickly they moved, and how adorable they were. I, however, never saw one there. Although I never doubted her stories, I became tired of sitting and waiting for one to appear (waiting patiently for something was not an ability I had ever quite mastered). I never once saw one. 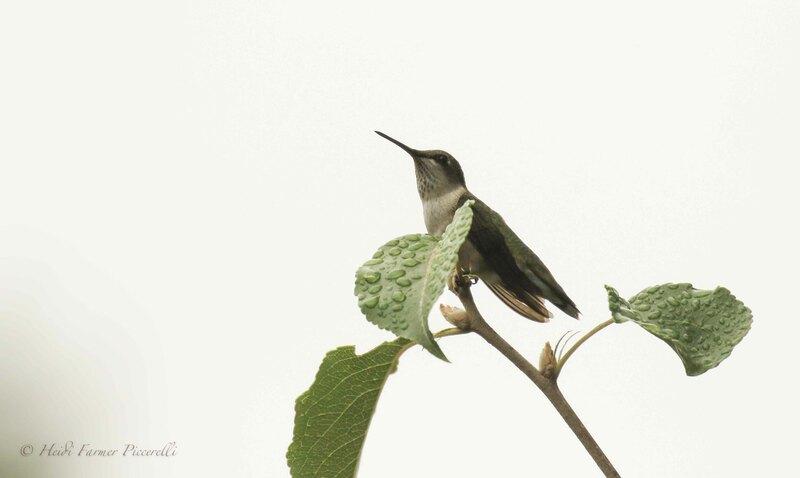 We had never had Hummingbirds grace our yards, but of course they made an appearance in the spring of 2014 when it was their turn “to arrive”. 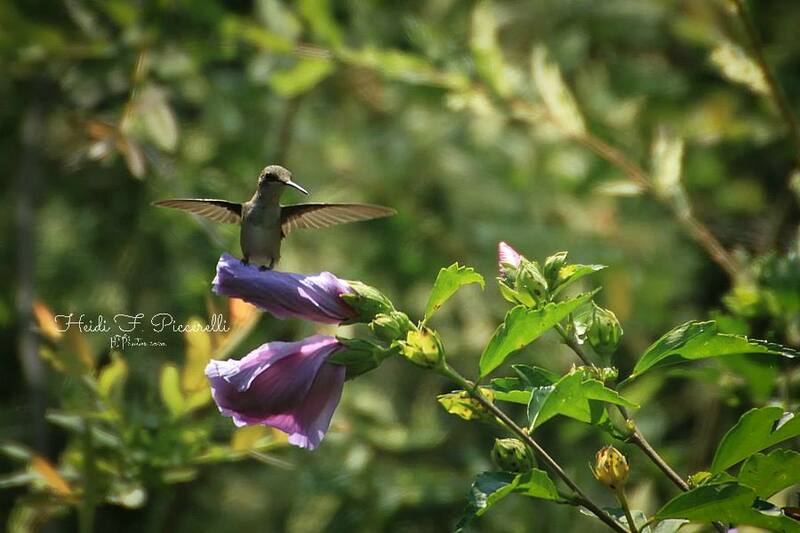 Finally, I was able to see, and photograph, the tiny beautiful little bird that made Mom so happy. 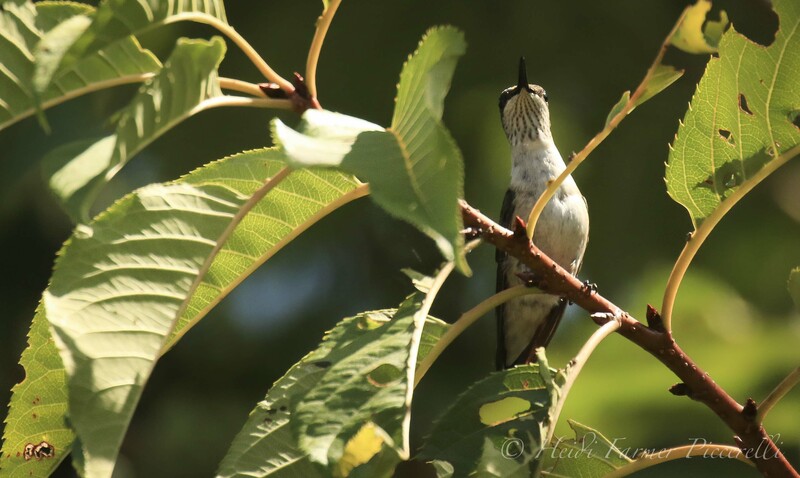 In true fashion, this little female Ruby-throated Hummingbird perched on the line my husband had put up for the feeders, and looked through the window at me as I was about to photograph it. What happened next had me laughing so hard I almost dropped my camera. “Is she really sticking out her tongue at me? !” If you knew her, you would know that this is exactly something she would do. Growing up, my sister and I were always the receivers of her “Neener-neener” taunts. Her playfulness was always unmatched, and she loved to win. This past week I was visiting my best friend at the house she and her family had rented for a couple of weeks. 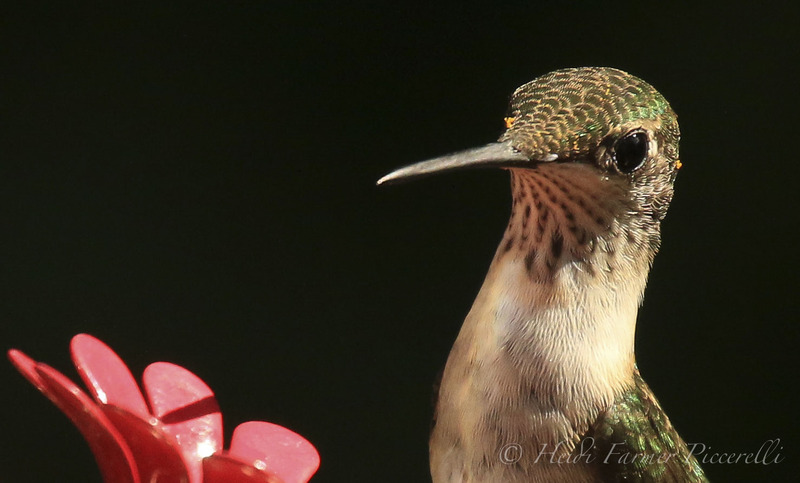 We were sitting on the back porch with one of her daughters talking about the birds in the yard, and she mentioned a recent Hummingbird sighting. 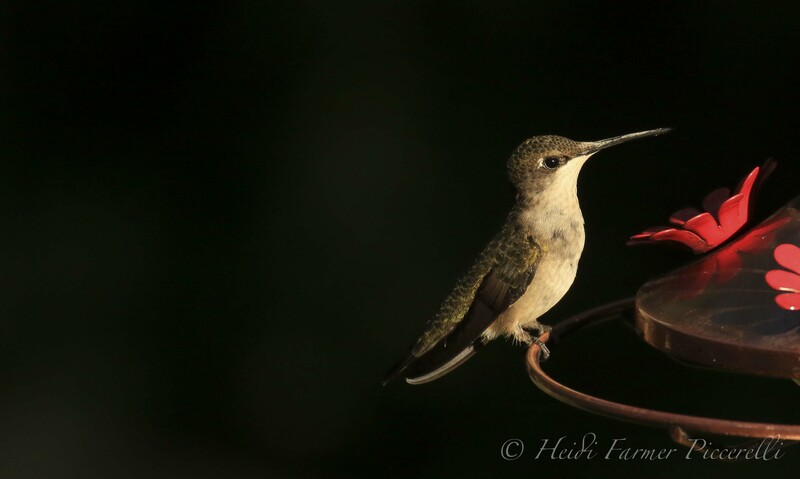 Her mother died many years ago, and Hummingbirds, have become somewhat of a symbolic connection for her as well. Just as we were discussing hand held feeders and other cool ways of getting closer to these birds, a Hummingbird zoomed in and hovered right outside of the porch facing us. Then it actually came into the porch and did a little “Hey, I’m heeeeeere” kind of dance, and flew away. We all just looked at each other, smiled, and didn’t have to speak a word. 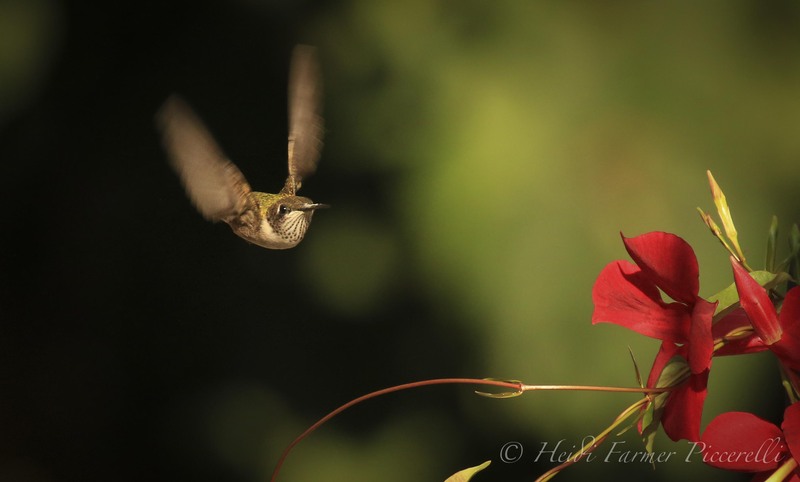 This morning, in thinking about which story to tell next, the thought of the Hummingbird came to mind. 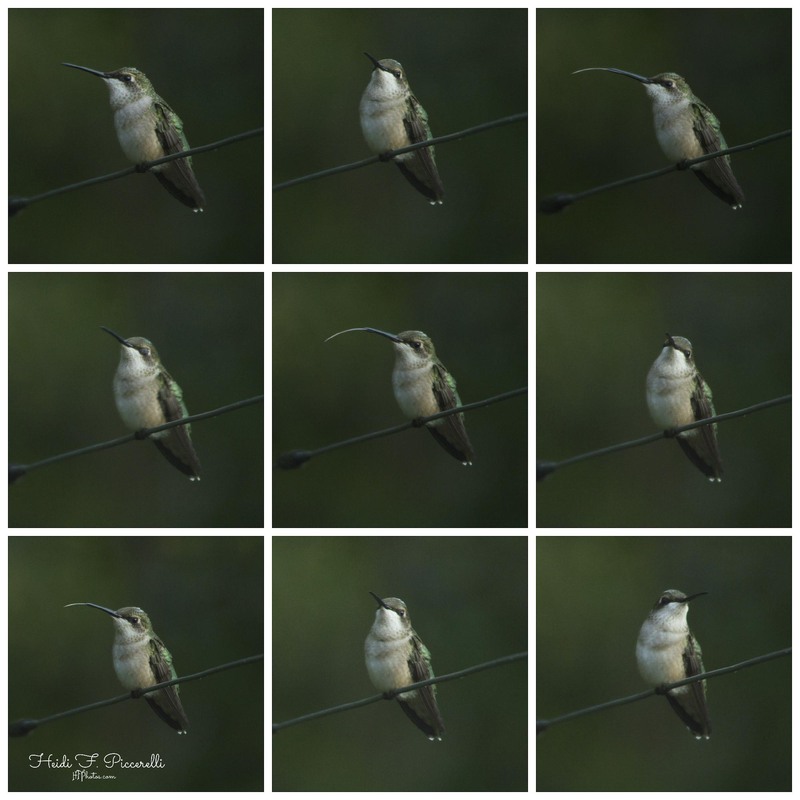 The minute I walked out into the backyard I was buzzed by one, two, then a third Hummingbird who all circled above my head as if they were saying “Pick me! Pick me!” I went and grabbed the camera hoping they’d still be somewhere in the yard when I returned. 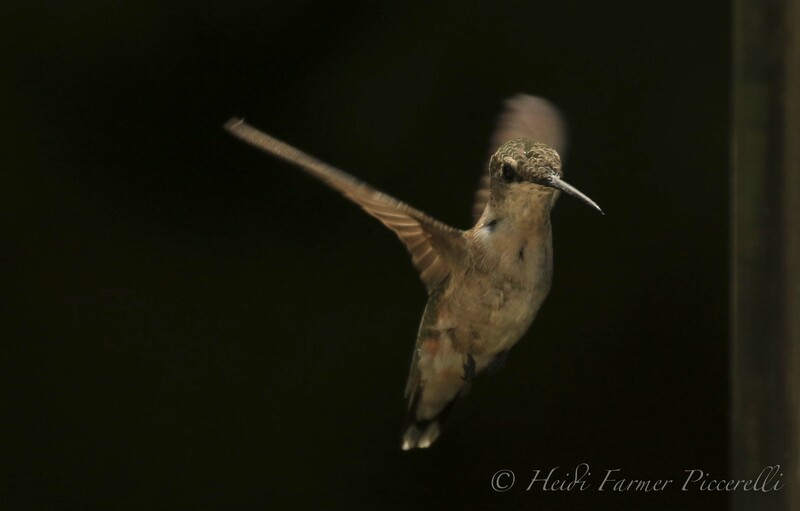 Usually we see them at the feeder and I am able to catch them them in flight if I wait long enough. Here are just a few from today… Enjoy! Love all the stories. Thank you. 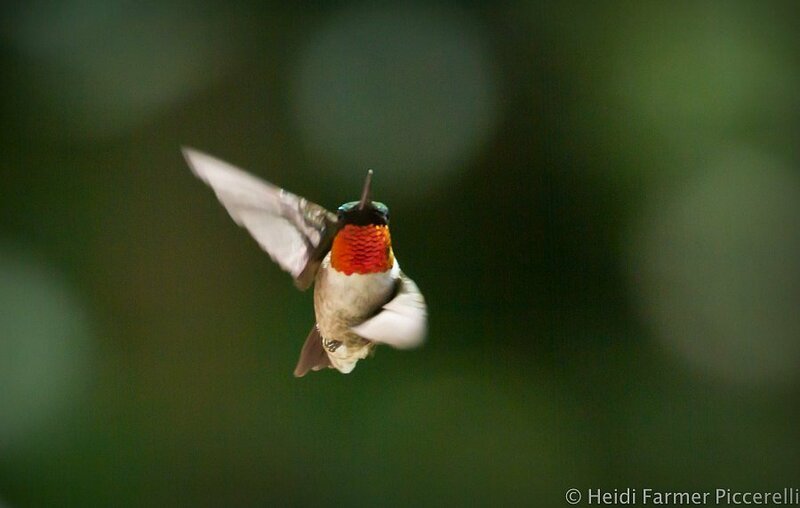 The hummer photos from today are stunning. wonderful pics and thanks for the stories! Your stories are fuel for the soul. Thank you so much for sharing them!!! Sign up to receive Blog postings via email! Lover of all birds, wildlife, the great outdoors, and sharing stories through my lens.